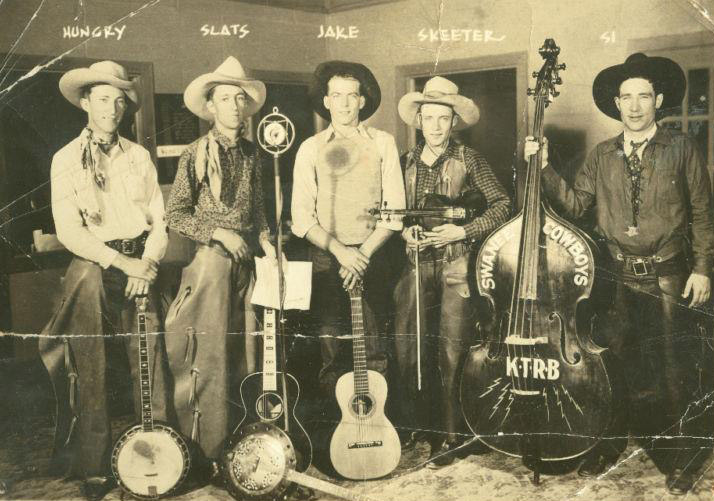 In 1937 these sounds were broadcast live for the world to hear on our own KTRB 860 Radio by Fred and Clay Maddox and their 11 year old sister Rose playing as the Alabama Outlaws. 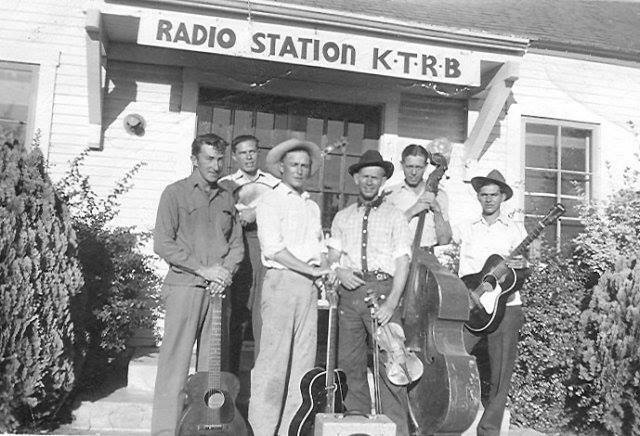 This radio station at the corner of Sylvan and McHenry had a transmitter built by Modesto’s own Cecil Lynch. 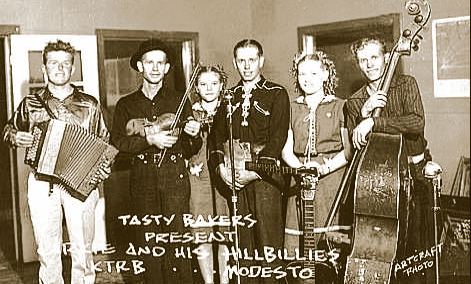 There are many roots of rock and roll, but the root that made Rock and Roll “ROCK” came from Modesto USA. 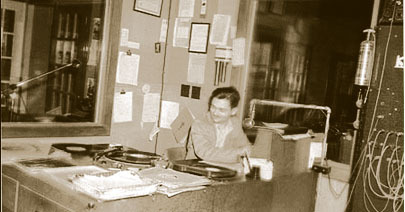 The station was established in partnership between two men, radio engineer, Bill Bates and businessman T.R. McTammany. 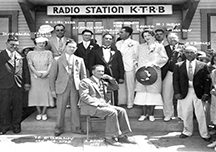 On June 18th, 1933 KTRB Modesto was granted a broadcasting license by the Federal Communications Commission in Washington. The call letters were taken from their initials and they began broadcasting with 250 watts of power, eventually the station doubled it's broadcast capacity and moved their operation to Norwegian Avenue with an expanded studio and more powerful transmitters. 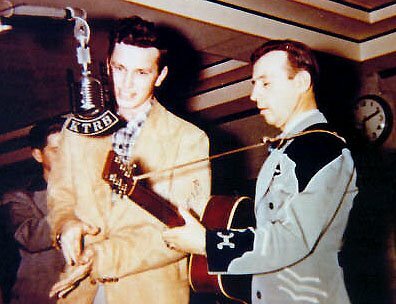 The future of the station would be closely entwined with Modesto Music at least until the early sixties when another upstart radio station KFIV would take the mantle rock and roll to new greater audiences. 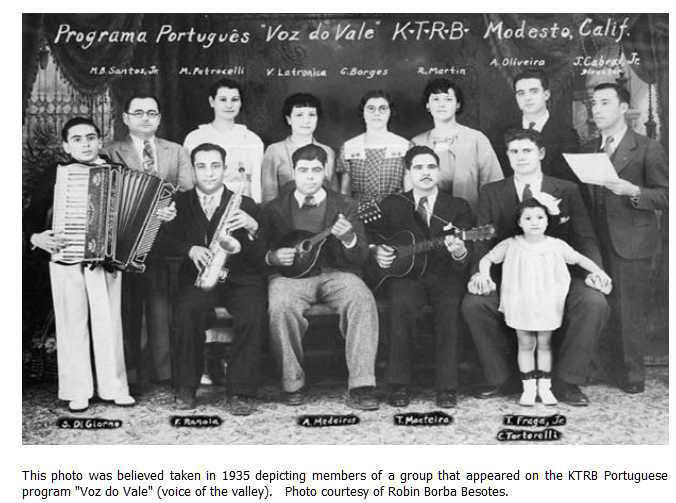 Early KTRB broadcasts the diversity of the area with such on air programs as "Voz do Vale" - Voice of the Valley, a Portugeuese group is pictured here in the studio from around 1935. Out in front of the Sylvan Club House, new home for KTRB Modesto. 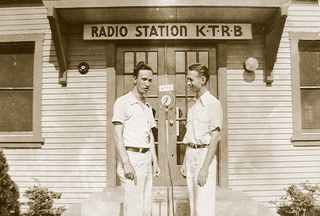 Cecil Lynch and Seldon Palmer out front of the new KTRB station on McHenry.